The Ancient Egyptians were known mostly for their lavish lifestyles and endless amounts of gold, the same gold that you can earn here! But did you also know that they are now famous for the SlotsBaby game? Allow us the pleasure of introducing you to a slot that is probably the best ancient Egypt slot going today, a slot that tries something a little different with the theme, breathing some much-needed air into those lungs. Pharaoh is a 5 reel by 20 pay-line sort of game that has all the inner-workings of a classic, all that one needs to do is keep playing. A slot that can be played from the desktop or mobile devices. 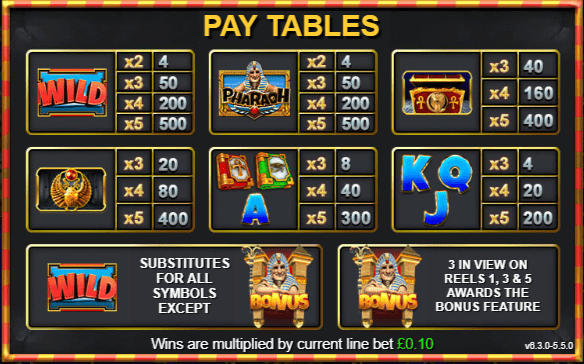 There are quite a lot of Egypt themed slots out there, which does mean that you have to play the games to get a feel for them, as some aren’t worthy of your time, this is the opposite of that. Be sure to check out the rest of our review below to find out more. Inspired Gaming could create a buzz with any online slot, that’s just a straight up fact. Creating addictive gameplay elements could be considered difficult, especially if you have no creative minds in your business, thankfully Inspired Gaming are full of innovative ideas that only see to bring in the masses with each and every release. Their catalogue is varied, which only plays in the hands of the many who frequent these sorts of titles. There is an emphasis on play experiences with Inspired Gaming, which is one of the main catalysts in why players should be playing their games to begin with! Wild Symbols: Wild symbols can appear here there and everywhere on the reels. When matched, these symbols will substitute symbols for scatter symbols, as well as provide players with quite a handsome bonus as a result. Bonus Symbols: Matching 3 bonus symbols will activate a bonus mini-game that will allow one to roll a set of dice where they will then have the chance of utilising various bonuses in order to come away with a much higher pot as a result. Wild Spins: Play four free spins with this feature, on each spin, two more wilds will be added to the reels, making these some very lucrative rounds! 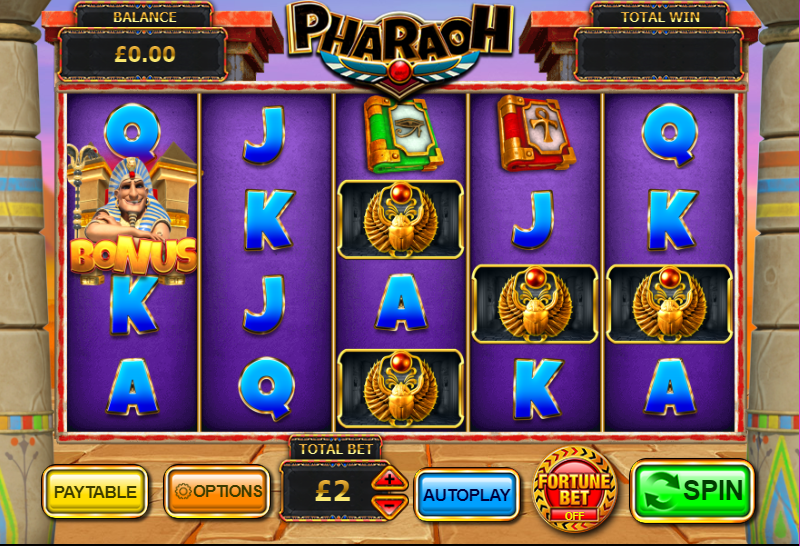 Pharaoh is a highly enjoyable online slot that players across the globe play each and every day. Developer Inspired Gaming have done a bang-up job in crafting something that players of multiple entry levels can see and experience for themselves. Playing this slot is almost like travelling back in time, play it for yourself and revel in it all here at SlotsBaby.com!